Formerly a collegiate miler and cross-country runner, Danny Jenkins has lived in Truckee for the past seven years, racing distances from half-marathons to 100-mile ultras. He has been a fundraiser for youth services, including Girls on the Run-Sierras and is also a former community addictions counselor. 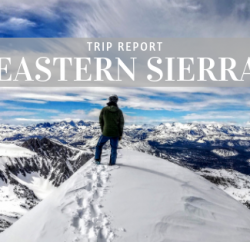 His passion is simply running free in the Sierra every chance he gets. Danny can be found on Instagram at @midnightspirit10. Swag is good. Swag that works is better. 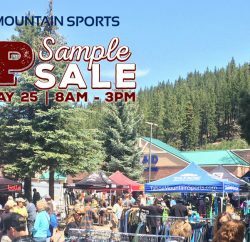 My girlfriend walked away with a free Salomon Park Hydro Handset at the Truckee Running Festival in June. Catching some shade under the Salomon tent paid off. “The rep said you’d love it!” Her enthusiasm overrides mine by a clear mile every time, but she’s usually right. I stashed it on the shelf next to my front door, along with handhelds I’ve collected and used from half a dozen other manufacturers. A week later I grabbed it for a test spin and a week after that, I grabbed a second Park Hydro from Adam at TMS. One black, one red – toe nail colors for runners. 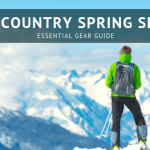 I tested both over a six week period on runs ranging from 6 to 15 miles, with workouts at my usual haunts like the PCT (Pacific Crest Trail), TRT (Tahoe Rim Trail), Donner Rim Trail, Sawtooth Trail Loop, Squaw Valley & other local “backyard” trails in Truckee and Tahoe Donner. 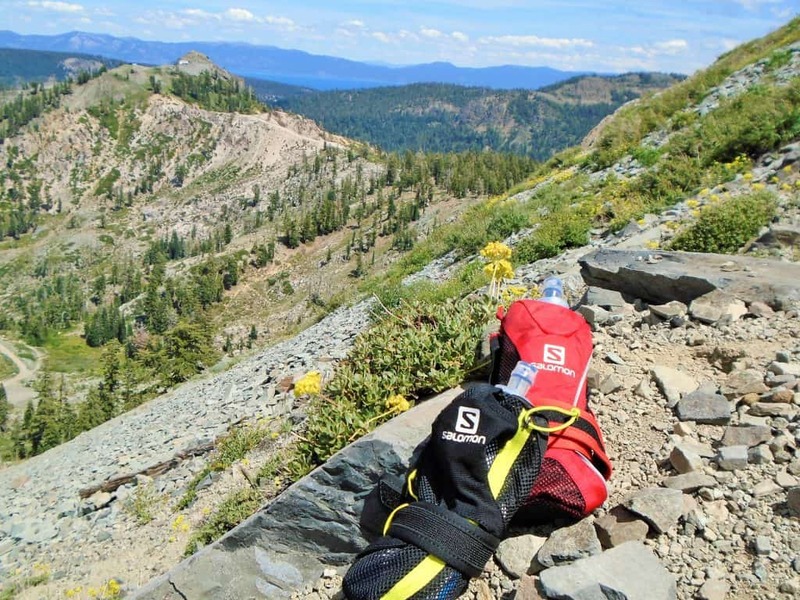 It’s difficult to find something “new” in the world of nomadic hydration. Handhelds are pretty basic; slip your hand in, pull the tension and go. But, the Park Hydro is a little different and shows some unique thought and results from Salomon. First, the Park Hydro is designed to be bottom mounted, and sitting in-line with the under-side of your forearm. Two finger holes near the top lead the way. I wasn’t fully comfortable with this, so I just started playing with different angles and fits. The wrap-around velcro strap (that goes around your wrist and secures on the other side) allows for versatility and I found a better angle (around 130 degree set) without using the finger holes, with virtually no slippage and no need to actually grip the handset if I didn’t want to. It stayed put – no soreness, no fatigue. The ability to find your own “comfort zone” is a huge plus. The outer shell is made of 100% polyester; hassle free, comfortable and durable. They got wet. They got muddy. They got hail. I threw them on rocks, in the dirt, sat on ’em & kicked ’em, and yes….wiped my nose with them (an often overlooked quality in handhelds). They never tore and always retained their shape. Good stuff. The Hydrapak softflask (reservoir) holds 17oz and comes with a bite valve for controlled drinking. Sealed properly, it never leaked on me and was super easy to use in any situation, especially on the run and even on fast downhills. The side zipper pouch runs the length of the outer shell and inner softflask. At max capacity, it would hold my car keys, a couple of gels and a nutrition bar. If you really need to, an iPhone barely fits. 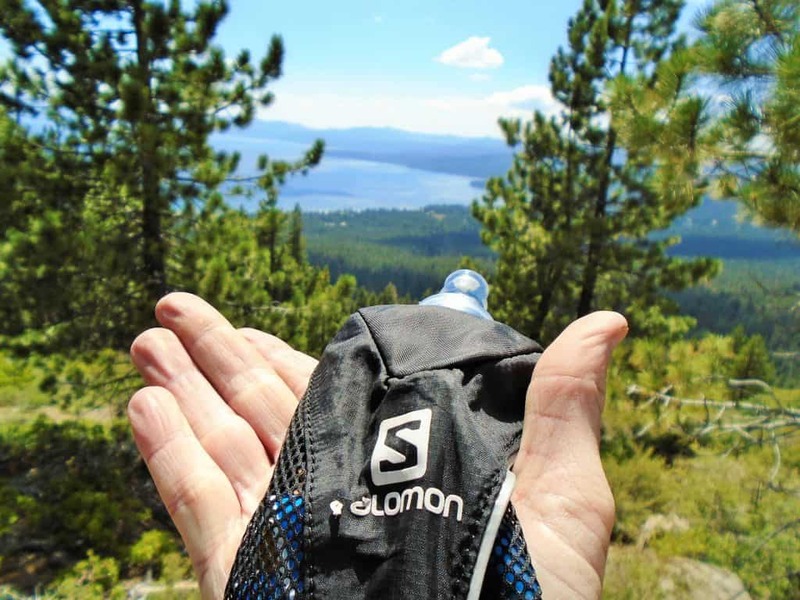 I didn’t find many negatives to this new and unique form of portable hydration from Salomon. The wrap around velcro strap, while adaptable to most any size arm, could use more velcro reaching the length of the top-side strap itself. 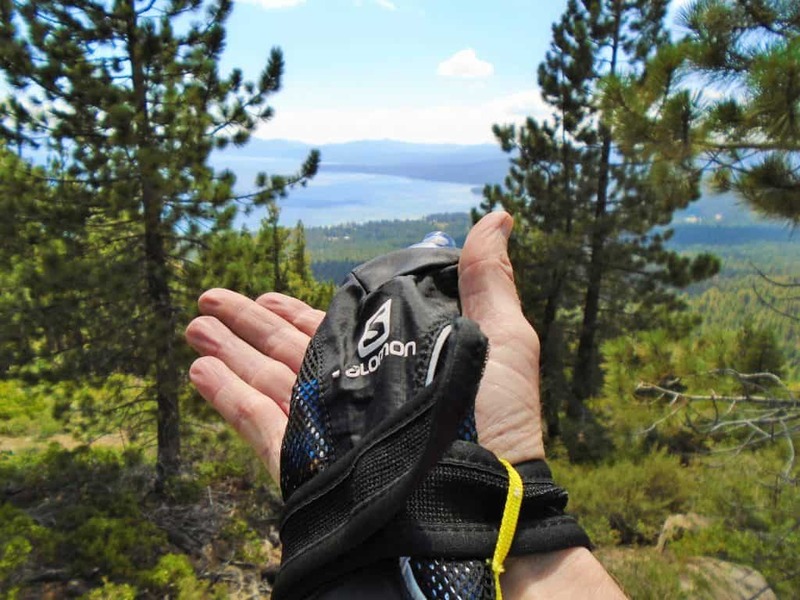 I have thin wrists, so once secured, there is some excess length; nothing that can’t be tucked in, but more velcro is a clear improvement Salomon could look at. The 17oz. softflask seems ideal but I would also like to see how a 20oz. version would handle. The Salomon Park Hydro Handset was perfect hydration for runs between 6-10 miles and I simply carried two if I was going up to 15 miles or had chances at re-fueling (maybe Heed in one, water in the other?). I try and prevent putting anything on my back if I can help it (I like to run light), so the Park Hydro fit into my summer hydration inventory nicely. 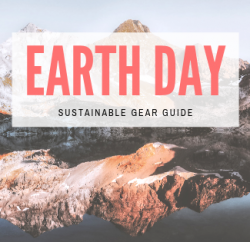 It has a uniquely secure, comfortable fit and feel (think water-bed for your hand & fingers) and didn’t leak after several beatings and approximately 300 miles of trail & mountain running over six-weeks. 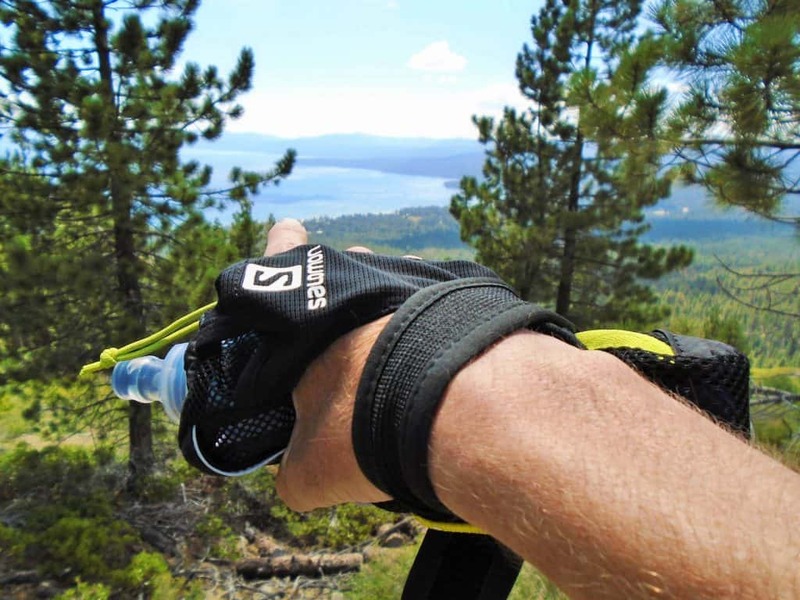 Revolutionized handheld hydration – Salomon nailed it here.